A refreshing collection of five-minute breakfast or snack smoothie recipes to energize your day! Each is smoothie packed with nutritious benefits like protein, fiber, and vitamins from whole fruits and vegetables. 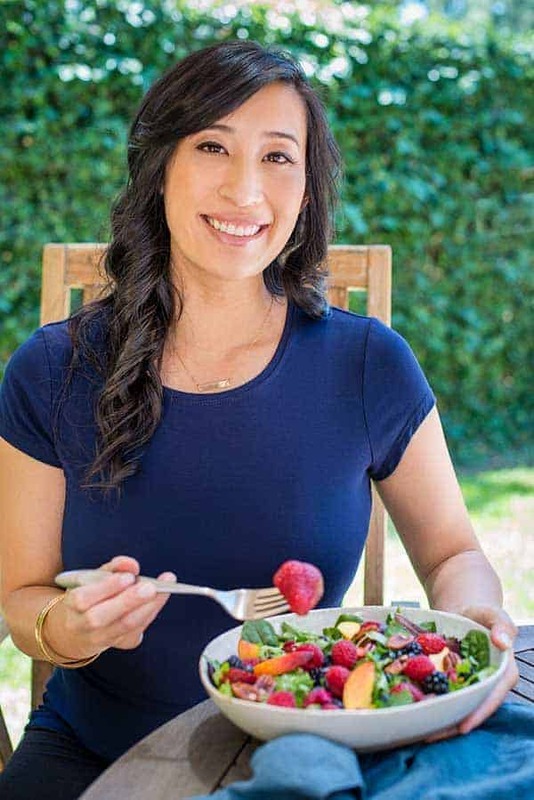 The new year always brings inspiration to eat healthier, and I’m here to help inspire you to get in the kitchen to make it happen! These 12 healthy smoothie recipes will get you energized in the morning, or give you a quick boost in the afternoon. You’ll have a blast trying different flavor combinations inspired by the seasons. I love sharing my favorite fruit smoothie recipes with you so we can find ways to be healthier together. Get your blender ready because you’re going to want to try these fresh and creamy smoothies immediately! Greens– Choose tender vegetables like baby spinach and kale to add fiber and nutrients with the least amount of bitter flavor. I usually add 1 to 2 cups total of green to a smoothie blend to get the benefits yet maintain good character. Fruit– You can add any fruit that you like, but I like to balance sweet and tart fruit together for the best taste. For example, peaches and oranges are a nice combination. If possible, add frozen fruit for the best texture as it prevents the flavor from getting diluted as the smoothie slowly melts over time. Try to have about 2/3 of the smoothie recipe to be frozen (this can be from frozen fruit or ice, or a combination). I try not to use more than 1 to 1 1/2 cups of ice. Boost– If you are looking to add more protein or fiber to your smoothie there are lots of options. For protein add in a scoop of protein powder, a handful of nuts, some Greek yogurt or nut butters. For extra fiber add in whole fruits (unpeeled), kale, spinach, flax seed or chia seeds. If you want some extra energy from caffeine, matcha green tea powder, or even iced coffee, and tea are good choices. Coconut water provides extra electrolytes. Sweeteners- Sometimes you need to balance the natural tartness from the fruit of bitterness from the greens. I like to add a few drops of liquid stevia to enhance the sweetness naturally. Pure maple syrup, agave, and honey in small amounts add a touch of natural sweetness. I also like a small amount of pure vanilla extract to increase the sweetness perception. I would blend all of the ingredients first, taste and then add sweetener as needed. Texture– To add creaminess to a smoothie, yogurt, nut butter, oats, flax seed, chia seed, bananas or walnuts work well. Frozen fruits reduce the iciness of a smoothie and increase the melt time. If you are using ice because you don’t have frozen fruit, start with one cup at a time and add more as needed. Blending- If you have a high-speed blender like a Vitamix , add ice, frozen fruit, veggies, and fruit to the bottom, so it breaks up first. Then top with soft greens and liquid, then continue to blend. Regular blenders with lower power may require you to add the liquid first and the tougher ingredients to help break it down. Then add powders and soft unfrozen fruits and puree. Breakfast all in one glass when you are on the go or need a quick meal! This smoothie is a combination of strawberries, banana, yogurt, almonds, and oats. The cold and creamy combination will keep you satisfied until lunchtime. This nostalgic smoothie is made with oranges, yogurt and ground flaxseed for a drink that is boosted with vitamin C, probiotics, protein, and fiber. This dreamy and creamy drink will be a refreshing way to start your morning! If you love fresh berries and greens, you are going to be in bliss with each sip of this sunrise fruit smoothie. Coconut water and bananas provide extra electrolytes to keep you hydrated at the beginning of your day. You can easily portion out this smoothie recipe in your freezer for a fast meal prep option. Need a bright and vibrant beverage to kick start your day? 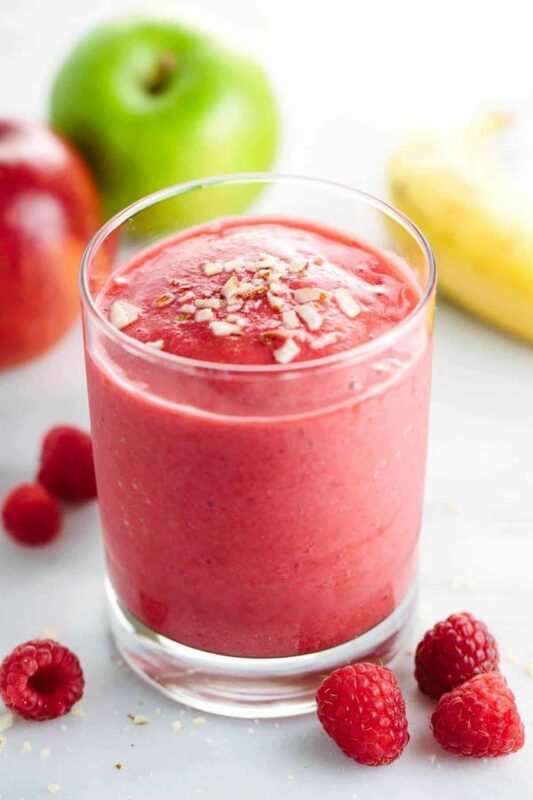 This delicious raspberry apple smoothie is packed with nutrient and fiber-rich whole fruits. Leave the peel on of the apple for extra phytonutrients and fiber! Are you looking for a breakfast or snack packed with nutrients that tastes irresistible? This superfruit pomegranate smoothie is loaded with healthy ingredients and superfruits like pomegranate, pear, strawberries, and bananas! A little fresh ginger adds a zing! Do you love PB&J? This is the drinkable version with a healthy twist! Learn how to make homemade strawberry chia jam to add to this peanut butter and yogurt smoothie. Make your inner kid happy! 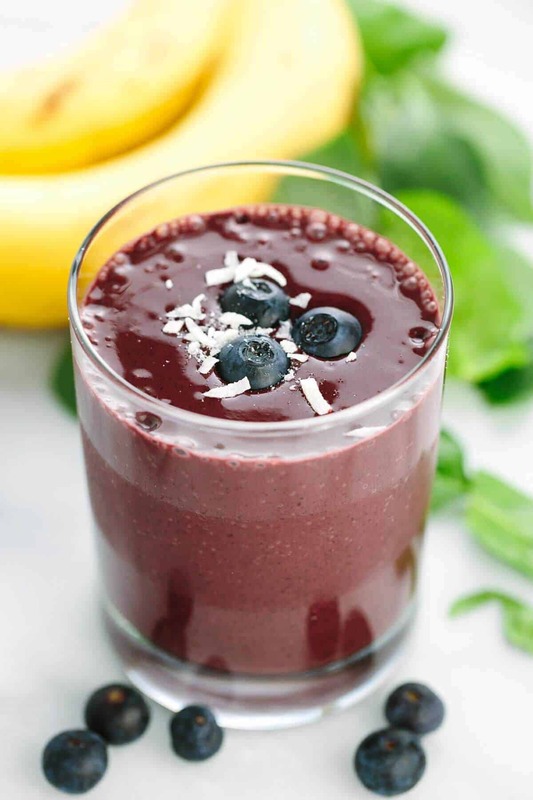 Blueberries are the star of this smoothie! The plump antioxidant-rich berry adds a natural sweetness and fiber to each sip. Bananas, yogurt, spinach, and flax seed make this irresistible smoothie provide extra protein, fiber, and probiotics to your cup. If you are a fan of fresh citrus and tart cranberries, you are going to love this smoothie. Cranberries are a powerhouse of vitamins and fiber, plus additional health benefits. If you’ve got cranberries left over from the holidays, just add them to your blender for a refreshing beverage! Is the cold and flu season getting you down? This smoothie is packed with vitamin C and antioxidants for immune benefits and turmeric for anti-inflammatory. Not to mention, ginger helps with gastrointestinal distress if you are trying to detox a little from the holidays, I sure am! Get revved up with this super creamy matcha green tea smoothie! Peaches, bananas, and pistachios are a unique and flavorful combination added to this tasty smoothie. This peach smoothie will remind you of summer! Ripe peaches and oranges add a natural sweetness with no refined sugars to this beverage. Plus, fiber from the fruit and flax seed makes you feel fuller longer. A little ginger adds some spice to the refreshing smoothie! If you’ve got some leftover watermelon, why not add it to this light and refreshing smoothie? The lime, strawberries, and juicy watermelon make for the perfect beverage to cool you down on those hot summer days. This is also a fantastic base for watermelon margaritas, you know, just in case you ever need one. This Valentine’s Day inspired smoothie will be a special chocolatey treat for you and your sweetie! This cool and creamy blend of strawberries, cocoa, almonds, and flaxseed is the perfect way to satisfy your sweet tooth without the guilt. If you are looking for an island getaway without hopping on a plane, this smoothie is for you! A tropical blend of pineapple, kiwi, mango, banana and coconut milk will bring you instant happiness. Enjoy in a glass or bowl and top with extra fruit for a more filling breakfast or snack. Are you ready to take the smoothie challenge? I hope this smoothie roundup inspires you to find fun ways to eat healthier every day! It’s so easy to add more fruits and vegetables to your diet when you blend them together in a cool and flavorful drink. As you try different recipes, don’t be afraid to experiment with different combinations and play in the kitchen! I would love to hear about your smoothie adventures and the combinations you create. Happy new year friend! Thanks so much for sharing these. I have a smoothie every morning and was thinking about how to change it up and add different flavours. Mine is a standard mish mash of 2 small apples, a banana, a pear or two, a few rings of tinned pineapple (in its own juice), a handful of raspberries and blueberries and 5 or 6 large frozen strawberries. I have to add extra fluid or it is way too thick to drink. This amount lasts me for breakfast and lunch (or tomorrow’s breakfast) plus a glass for someone else. I must admit, I can’t wait for watermelon season to be back – it’s my favourite fruit to bulk out a smoothie and give it a delicious fresh taste. You are so welcome Fiona! It’s nice to have some recipe ideas all in one place 🙂 Your smoothie sounds really yummy! Wow, it makes a lot, what a great way to meal prep. I agree with the watermelon! I froze all of the extra so I can have it year round. I can’t wait to hear more about your other creations! 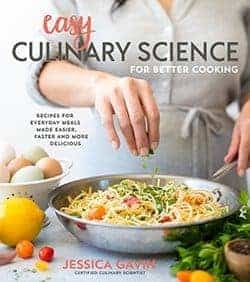 Thank you Jessica. I pulled my juicing machine out over the weekend and made an orange/pineapple drink. I was thinking I want to do a green juice and a tomato juice next. These smoothies look so so good. Wow that sounds amazing Judy! Freshly squeezed juice is always the best. Let me know what smoothie recipe you try, maybe the carrot one would be good to use with your juicer!